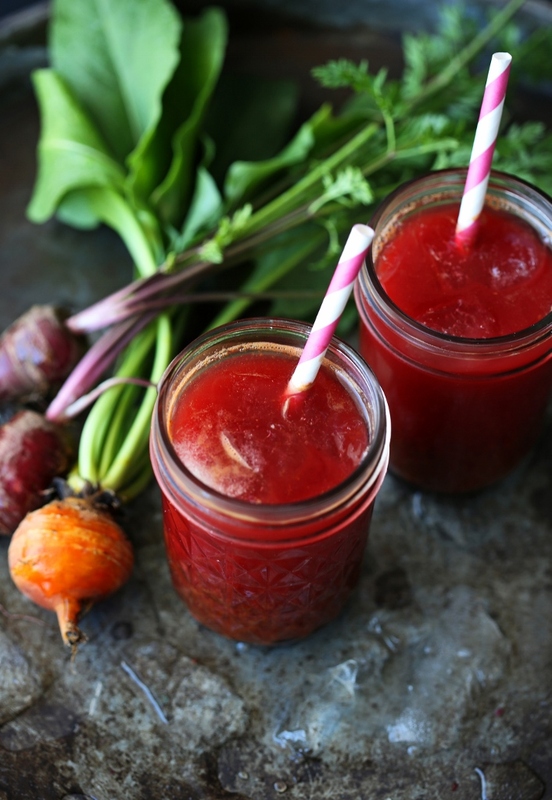 Today, we’re sharing another favorite juice that we have on regular rotation at our house, root vegetable juice–consists mainly of the carrots and beets grown from our garden. If you don’t have home grown root vegetables ready at your disposal, they are abundant at your local farmers market. Carrots and beets have many wonderful vitamins (vitamin A, B and C) and minerals (calcium, magnesium, iron and many more) due to all the nutrients they absorb from the soil and sun. Some people shy away from root vegetables when it comes to juicing but they’re quite delicious in a juice, a bit earthy, sweet, and much milder in taste than perceived. We hope you give it a try! 1 .Cut the carrots, beets, apples, and kale to fit the juicer. 2. Start the machine and place the apples and kale leaves into the feeder of the juice extractor. 3. Next, add the carrots and beets into the feeder of the juice extractor. 4. 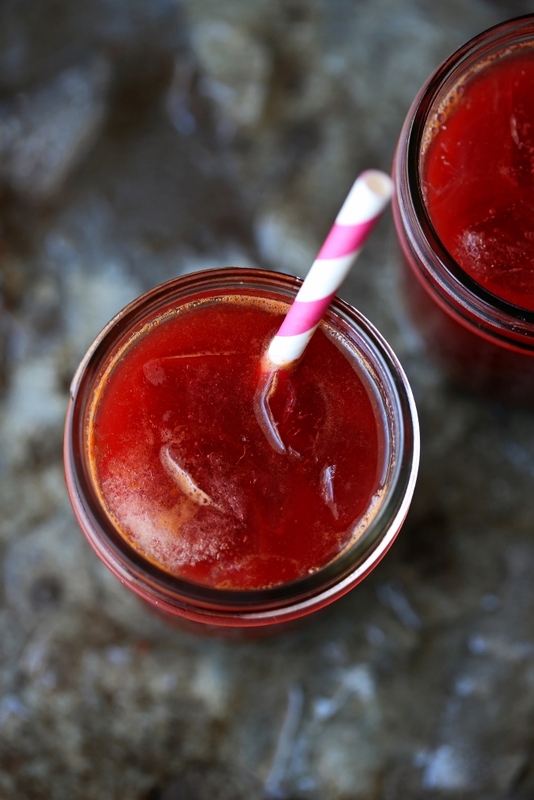 Pour the juice in a glass and add a handful of ice cubes and enjoy as soon as possible. Cook’s note: if you use organic carrots and beets, you don’t have to peel them. For the freshest juice and highest level of nutrient, drink juice within 24 hours. 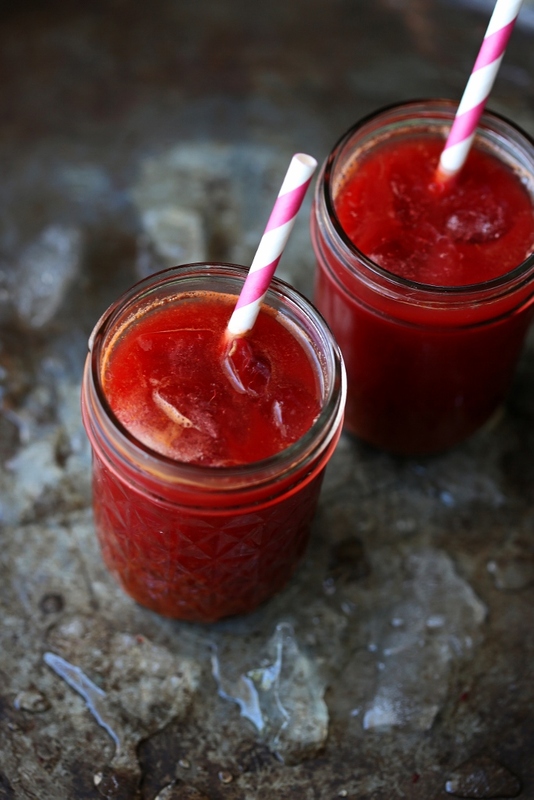 Otherwise refrigerate your juice in a airtight glass bottles for up to 72 hours. Weck jars and Ball mason jars work very well.